Thank you for the information. Your company makes the J410, J450A and i300 steam stations. What are their differences? Will one last longer than another for home use? Does the i300 have a better quality iron and steam cord? Is a vacuum table required for a steam station? Our J series iron stations including the J410 and J450A are strictly home use products. We rate them for 15-20 hours per week maximum use. The reason why they cannot be used for longer periods is that these products are made from molded plastic, and they cannot withstand the heat of more than 15-20 (non-continuous) hours weekly. The i300 is our entry level professional ironing station. Because we use stainless steel, and not molded plastic, you can use the i300 (or the larger i500 and i700) for as many hours as you like. The quality of the iron and the steam is very similar. If you wanted the best user experience, then you have to go with our pro series… nothing irons better than these units. The quality of the hose, cord etc. is very similar on all of our products. I wouldn’t say that one was better than the other. The J410 and J450A are terrific products; they just shouldn’t be confused with “professional” grade, since in our world, that means they get used 5-7 days a week, for 8-10 hours per day. A vacuum table is not required for a steam station, but if you want to get the best results, it is vitally important. There is no point to buy a Ferrari if you have cheap tires on it. In a similar manner, having all of that quality steam, and not being able to dry the fabric when you are done is only doing half the job. If you want to know more about the “tricks” of professional finishing, have a look at our 5 Reasons to Love Ironing (pdf) piece that I have included for you. I hope this information helps. Speaking of Reliable, did you know they also sell sewing machines? Yep. I’d been in the market for an overlock, a basic 5 thread with safety stitch, only I don’t know much about overlocks. I forgot to ask if I can pull the safety stitch to do knits. My attitude about machines is that I just want to sit down and go. Anyway, this is the one I bought that was delivered today. As you can see, I haven’t unpacked it yet. I just love new toys, don’t you? I think I’ll be home late tonight. In fact, I may not even cook dinner. Maybe Eric and I will go to our favorite micro-brewery two blocks from my shop, grab a couple of brews and then try to set it up. Or maybe not. Otherwise tomorrow’s planned post of How to set up an industrial overlock may not go very well. Oh, Kathleen, congratulations! I hope the two of you will be very happy together! Is there a steam table/iron couple in your future? Lovely. Can’t wait to hear what you think about it. By “pull the safety stitch to do knits” do you mean thread up the machine to work in 3- and 4-thread mode instead of in 5-thread? If you do, most 5-threads can be ‘re-laced’ as I like to call it. Admittedly, I don’t know how the Reliable machines work – I’m eager to hear your feedback on its performance. I’ve already plastered pictures of their low-end vacuum table and the i500 rig to my wall. They’re on the wishlist for 3Q07. Regarding the re-lacing procedure, you just need to familiarize yourself with how the thread tensions will change. For example: going from 5-thread to 3-thread narrow isn’t a problem. None of the tensions change, you simply remove the left needle, left thread, and the chainstitch (i.e. 5th) thread. 3-thread wide is a little trickier. You remove the right needle, the right (i.e. 2nd) thread, and the chainstitch (i.e. 5th) thread. Then you loosen the tension on the top and lower loopers until the threads wrap on the edge. When you’re really snazzy, you can figure out the 1st and 5th threads (i.e. top and bottom chainstitch) work as a makeshift chainstitch machine ;-) You can sometimes even get it to do a 2-needle coverstitch; but, don’t hold me to that. Let me email you a copy of the instructions for my household overlock, they’re identical to what I used to do on a Juki 3316 to relace it for different projects. I’ll need to do that over the holiday weekend as I still have a lot of boxes to go through in the new space. 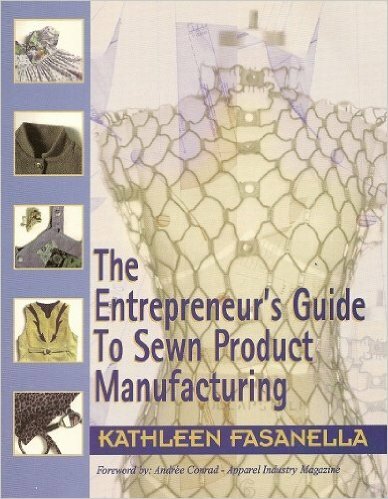 Oh Kathleen, That serger literally made me drool a little. Have fun with it!!! I hope that you are having fun assembling your machine. I set up my old juki mo 816 from scratch, even building its support plate. 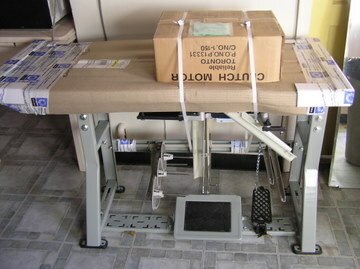 I purchased the machine from an ebay auction for $150 and bought the table and motor locally to save money on shipping. All told the whole set up costs less than $600. At any rate, I believe someone mentioned before that they had a system for installing the motor. I found that the motor was easily installed by tipping the table over and putting it on upside down. Once the motor is bolted in, flip the table right side up and you are ready to install the head. I can’t wait to read your next entry on setting it up. Switching from a five thread to a three thread is easy. It might be the age of my machine (about 20 years), or my thread, but i don’t find the three thread very secure on knits, so I am currently searching for a mo 814 head that uses four threads. I can simply switch heads if I need to do a production run with knits. Investigating all my knit clothes I found that all of them except a few very cheap t-shirts use a four thread serge for the seams. If anyone specializes in durable knit wear I would be interesting in hearing their opinions on 3 vs 4 thread knit sewing. I would play with the serger first and THEN go get the beer. I can’t even use mine after 10 pm if I am tired, let alone after the trip to the micro-brewery!